Local :: Registered :: Competitive Rates :: Reliable :: Fast Residential or Commercial Plumber for Papakura, Manukau City. Servicing South Auckland and East Auckland. Andrews Plumbing are your local 24 hour residential plumbing service for East and South Auckland . Anything from a leaky or dripping tap, blocks in your sink or toilet, repairing burst pipes, dishwasher installation, overflowing cylinders and hot water problems. We are local guys and good guys. Registered plumber, professional work guaranteed. Phone, Mobile or Web to Book a Quote today. Pensioner discounts or WINZ quotes provided. We provide full residential and commercial plumbing services. Competitive Rates : Fast : Reliable : Professionally Registered. We offer a top quality service and guarantee all our work. Effective quotes and quality workmanship and a level of service second to none. Getting it right first time. 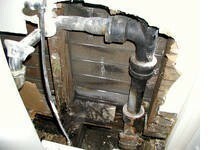 Water Leak Detection & Repair Having a problem with a water leak and not sure where it's coming from? 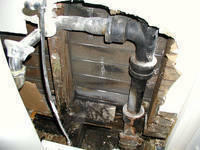 Water leaking can cause serious damage to your property so it's very critical to find the leak source and fit it asap. Need a quote? Need Advice? Need to Book a Site Visit? Feel free to contact us. Phone, Mobile, Web. We are happy to assist. Available for quotes, callout and servicing. Emergency responses.